In a previous post I mentioned that I was taking the “Create a Beauty Journal” challenge from the Be Your Finest Art workbook by Joanne Miller and Dorsey McHugh. EXCELLENT book and workbook, I highly recommend both. The challenge was to take a picture of something beautiful each day and share it somewhere like Facebook, Instagram, Tumblr, or a Blog etc. Share the picture, what it meant to you, and describe in word pictures what it looked like to you or the impact it had on you. What an amazing experiment. There were some amazing benefits, some unexpected aha’s, and there were some aspects that I didn’t like. I recently watched a video by Brendan Buchard, called the 6 Questions for High-Performance and in it he described questions that high performers ask themselves throughout the day. These questions they attributed to their success. Amazingly the #1 question they asked is “Am I present?”. Were they in the moment, aware and alert to what is going on around them. By the way, Brendan described these high-performers as having great health, abundant energy and successful in their business or career. Not all of them were “rich and famous”. It wasn’t about the money. It was more about how do they feel, and what impact did they have in the world around them. Seems to me that the fact Presence was number one for them is something to pay attention to. 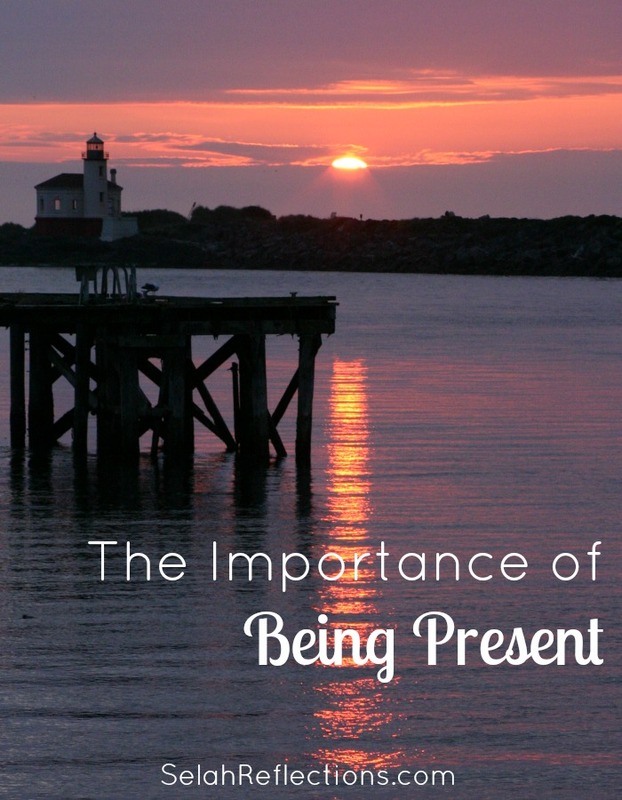 So how do you learn to stay present? I do think that experiments like the “Create A Beauty Journal” is a place to start. This was a challenge I was looking forward to. It was something I do on a regular basis anyway so I thought it would be great to blend into my routine on a more intentional level. I don’t share everything that I photograph but I do share a lot so I didn’t think it would be hard to take on this challenge for a full week. I noticed details: Since I was present, aware and on the hunt for something to photograph I noticed a lot more detail on our walks. I was seeing things I never had noticed before. This is a trail I usually walk at least 3-4 times a week and I was noticing new things. I enjoyed sharing daily: I was posting these images on Instagram, Tumblr and Facebook. It was one of the fun parts for me. It became a treasure hunt and I got to share my finds. The Image Quality: I’m a bit picky about my images and I do not share all the photos I take, and for good reason. Many of them are awful!! But in this challenge I needed to share something daily so I shared if I liked it or not or if it was slightly out of focus. For a short-term purpose I can handle that but in the long-term it would bug me. The added Pressure: If I couldn’t find an image in the morning I would be searching around the house for something to take a picture of before the end of the day and when it was getting to the wire it would stress me out a bit. All-in-all I would say it was a success and I’m glad I did it. It was telling that I found it hard to be present consistently throughout the rest of my day without a challenge to meet. I couldn’t help but wonder what a difference it would make if I practiced being present more often. In my spiritual life: Being present and praying continually, keeping Jesus at the center of my day. How different would my entire life be? How different would my impact and testimony to those around me be? In my business: Being present as I create a website, write a blog post like this one, or interact with a client. What a difference it could make in client relations, in my creative work, in building a community, and business network. In my mental health: Being an on demand creative is draining and demanding mental work. Being present and asking on a regular basis would help me to better understand my energy, what time of day I work best, and when do I need a break. My personal relationships: How would relationships with my friends and family improve if I was present with them and fully engaged and listening? So will I do this challenge again? Yes, I will at some point down the road but I will be looking for a way to do it slightly different so that I can be present, enjoy the challenge, stretch my creativity and share in a way that works better. This challenge was an excellent reminder of the importance of being present. What would being present do for your life?